The history of the natural sciences has two themes, one, the formation of their foundations, and the other, an account of their effects on society. Everyone who follows the calling of a natural scientist experiences pleasure, when his work is done, in studying the unfolding of knowledge in his science; . . . But how has genetics affected Man himself? . . . The recent history of these genetically oriented human sciences in action is as full of chaos and crime as a nightmare. Yet many geneticists, anthropologists, and psychiatrists have slipped from this dream into the deep sleep of forgetfulness. The deep sleep of forgetfulness fell heavily over our Congress this spring, as both the House and the Senate voted overwhelmingly to approve the use of tissue obtained from elective abortions for experiments at the National institutes of Health. The question of whether the federal government ought to fund research on aborted children has recurred periodically since 1975, when an “Ethical Advisory Board” at the Department of Health, Education and Welfare approved experimentation on aborted—but still living—fetuses. Public outcry when the nature of such experiments was revealed brought a temporary end to the research, not only because of its grisly character, but also because the people recognized no clear purpose in experiments such as severing the heads from aborted babies and maintaining their brains alive. But fetal tissue research is no longer on the grotesque fringe of science. Some researchers have suggested that fetal tissue—particularly fetal brain tissue—may be spectacularly regenerative and adaptable, and hence suitable for transplant into victims of diabetes, Parkinson’s and Alzheimer’s disease for near-miraculous cures. This unsubstantiated promise of relief for millions of sufferers has brought fetal research to the forefront of the abortion battle; many victims of disease have joined forces with the vociferous abortion lobby in order to lift an Administration-imposed ban on the use of tissue obtained from induced abortion for fetal research at NIH. And thus it is that an NIH Reauthorization bill proposing to overturn the fetal tissue moratorium became one of the most hotly contested political fights of the year. In early May, a distraught HHS official called an emergency meeting with anti-abortion activists, pleading with them to intensify their efforts against the NIH bill, as the best White House estimates indicated that “pro-lifers” would not show “veto-strength” when the bill came to the floor of the House. More than ethics at NIH was at stake; there is a kind of mystique surrounding the Presidential veto, making it uniquely powerful until the first time it is overridden. The Democratic leadership on Capitol Hill, unsuccessful in attempts to override thirty Bush vetoes, felt confident that the NIH bill would be the one: the swing that would break the opponent’s serve. The momentum of one override could lead to more: the President would be weakened, and the anti-abortion movement declared dead—or at least not viable—just in time for the major party conventions in the summer. Activists re-doubled their efforts. Senior HHS and White House officials, including the President himself, mounted a high-pressure campaign to woo marginal members; ads signed by major lobbies ran in Roll Call, the Hill magazine; disease victims opposed to fetal tissue research flew in to meet with Congressmen (countering to some extent the emotional pleas of disease victims lobbying for the research); and a major letter-and-phone-call effort was launched at the grass-roots level. In spite of these efforts, anti-abortion forces still faced certain defeat in the House on the day of the scheduled vote. They were saved by what amounted to an act of God: Rep. Henry Waxman (D-CA), no stranger to House rules, made an unlikely procedural error. The vote was put off for another week-a week which permitted “pro-lifers” to shore up “weak” members with another round of personal visits. Mercifully, the extra week also brought additional protest from Americans for Tax Reform, which complained that the bill was over $3.1 billion dollars more than the President’s budget request. Even certain animal rights groups weighed in, objecting to a part of the bill that would make some of their protest activities felonies (politics indeed makes for strange bedfellows!). A few Congressmen otherwise inclined to support fetal tissue research voted against the bill on Constitutional grounds; it contained language that would withdraw from the NIH Director and the Secretary of HHS the power to withhold funding from any project approved by “ethics advisory panels”—the same panels which approved decapitating aborted but living babies in the 1970s. This cynical attempt on the part of pro-abortion politicians to remove major ethical questions entirely from the realm of debate became a most important reason to oppose the legislation. An Administration document released on Capitol Hill during the heat of debate denounced NIH Reauthorization on “ethical, fiscal, administrative, philosophical and legal” grounds. And the bill did indeed offer a veritable salad of reasons to reject it: pick an objection, any objection. Yet only 148 members of the House (and later only 12 members of the Senate) found the courage to oppose the initial bill. The margin of “victory” was slightly more comfortable during the veto override attempt (156 House members voted to sustain the President’s veto), but the numbers were too close to call until moments before the actual vote. To the stalwart opponents of the NIH bill, the “win” was sweet because hard won, but no one is gloating: they could well have lost. Anti-abortion votes are now hard to come by in the U.S. Congress. But why should so many usually pro-life members have defected during this battle? Some pleaded political expediency: “My district has been redrawn and I can’t afford a controversial vote before the election” was commonly cited. Others maintained-against all the evidence-that fetal-tissue experimentation could somehow be separated from the abortion problem. Proponents of the bill met with surprising success marketing the issue as a question of “health” and not abortion. This in spite of the fact that its chief sponsor in the House was Henry Waxman, a man who never met an abortion he didn’t like, and whose enthusiasm alone ought to have raised the eyebrows of his colleagues. But the most obvious rebuttal of the “health” argument was this: H fetal tissue has nothing to do with abortion, why is the National Abortion Rights Action League—which has no other “public policy” interest—scoring the NIH bill as a major “pro-choice” vote? Which brings us to the question that drew so many defectors, that confounded even usually pro-life legislators (notably Senator Strom Thurmond): Why not? Why not bring some good out of the tragedy of abortion? Reports indicate that no one could answer him. Not surprising: the cause of the great push to expand the sources of fetal tissue to include those obtained from elective abortion—the reason for NARAL’s keen interest—is that it will give legitimacy to the abortion industry. If that is not the express purpose of the abortion lobby, then why has it shown such energy in championing this research? Why such distortion of the facts? To wit: the hype notwithstanding, fetal tissue hasn’t proved to be a miracle cure for diabetes, Parkinson’s or Alzheimer’s. The Journal of Neurology (May, 1990) reported that in over 100 fetal transplants worldwide, fetal tissue has rarely even survived the procedure. In cases involving Parkinson’s patients, where improvements have been noted, it is not at all clear that the fetal cells were the reason. In fact, fetal tissue research has fallen far behind other therapies in terms of promise for curing Parkinson’s disease; there is little evidence that transplants can do anything to help diabetics; and Dr. James Mason, head of the U.S: Public Health Service, says that no research with fetal tissue has even been tried to treat Alzheimer’s in humans, so the reports that fetal tissue is “magically adaptive and regenerative” are, to say the least, overstated. Is it compassion for disease victims to raise their hopes with this cruel misrepresentation of the facts? Even granting the argument that fetal research eventually may generate cures, was it compassion for disease victims that motivated Congress to strike from the NIH legislation a provision to allow transplant recipients to know how their transplants were obtained? 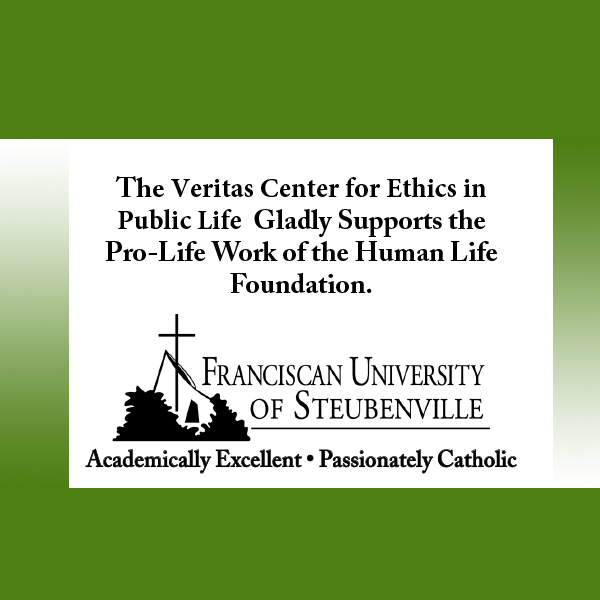 A 1992 Wirthlin poll found that 63% of Americans oppose fetal tissue research. Presumably some of those Americans themselves suffer from illnesses. Many would ask if it is compassionate to force those people-those plagued with disease yet ethically opposed to elective abortions-to choose between continued suffering and the taking of innocent human life when an ethically acceptable—and medically feasible—option is available. When the facts of the case are laid out, it is evident that experimentation on aborted children has less to do with helping sick people than with justifying the abortion industry. The effect will not, of course, be immediate, and therein lies part of the problem. People who should know better have been persuaded that “safeguards” (e.g., preventing the aborting mother from specifying the recipient of her baby’s tissue) will prevent any abuse. But opponents point out that once the barrier between abortion and government funding is penetrated, it can be only a matter of time before the supposed safeguards are shunted aside. As Georgetown University Professor Daniel Robinson—a member of the 1988 NIH panel on fetal tissue transplantation put it one evening on CNN’s Crossfire, we can establish safeguards in 1992, but “. . . if it turned out that a significant public health problem could be addressed by taking down that so-called impenetrable wall, how long do you think it would be before some progressive and right-thinking Congressman” would move to strike down the barriers? Come to think of it, what is the fetal tissue moratorium itself, after all, if not a safeguard? Abortion proponents can afford to be generous with “safeguards” because they know that safeguards never last long. They deride the notion of a slippery slope even as they take advantage of it in achieving their ends in Congress. Some tactical ground may have been ceded to the abortionists when the Administration adopted as its chief argument against the bill the possibility that potential good coming from research would encourage women to have abortions. 1’his triggered angry complaints from feminist groups that the White House was “patronizing” women, suggesting they choose to have abortions lightly. But no one has suggested that fetal tissue research will cause women to become cavalier about abortion; the issue is that abortion itself may become ennobled. As Professor Robinson put it, “To do something that will save other human lives is not to do something cavalier.” Again, fetal tissue experimentation is only the first step. Once it is tolerated it will be embraced. Once embraced, what then? How long before we have an unregulated “fetus industry” in which the organs of unborn babies are bought and sold as commonly as pints of blood? It is ironic that this debate was going on during and after Presidential primaries in which much attention was paid to neo-Nazis and fascists both real and imagined. David Duke, a former American Nazi and Klansman tried to run. Columnist-candidate Pat Buchanan—no David Duke—was roundly defamed for his defense of John Demjanjuk, alleged to have been Ivan the Terrible of the Treblinka concentration camp. Buchanan’s dogged insistence that Demjanjuk was innocent may have saved the man’s life and has been entirely vindicated, but too late to save Buchanan from denunciation as a Nazi sympathizer in the syndicated columns. Several national publications saw fit to examine the issue of anti-semitism, presumably with an eye toward extinguishing it. There is plenty of concern in this country that the Holocaust happen “Never Again,” but precious little ability to recognize its spectre. What’s more dangerous: David Duke, an obviously phony and smooth-talking politician whose ideas are widely repudiated, or the ever-quickening return to eugenics visible on the frontiers of our “Science”? He saw himself as a progressive, and he was right. He had liberated himself from stifling moral traditions, and he was in the vanguard of change, seeking new scientific answers through experimentation. He shared the Darwinian materialism of his time, which is still our time, even if the Nazi wing has gone a little out of fashion. Abortion, fetal experimentation, surrogate motherhood, genetic engineering—he would have been right at home with these new developments. In fact, he could fairly consider himself a pioneer, a casualty of progress who was ahead of his time. The “murderous science” of the Nazis didn’t begin with Hitler and it didn’t begin overnight. Eugenics programs—always begun in the name of high humanitarian principles—were well established during the Weimar Republic. Germany didn’t accidentally wake up evil one morning; the German people simply got slowly accustomed to breaking down the safeguards separating science from atrocity. The late Dr. Leo Alexander, a consultant at the Nuremberg trials, once interviewed a Nazi doctor who defended his experimentation on the carefully-removed brains of 100 holocaust victims. He was not a murderer, he argued, because he had not marked the victims for death. But it would have been a shame to squander “such wonderful material!” It would have been a pity not to get something good for humanity from their deaths! TIs that not the precise argument of those who ask with respect to fetal tissue experimentation: “Why not”? Wouldn’t it be a pity not to get something good for humanity from the babies marked for death in any case? With all due respect to Senator Thurmond, when he asked from the Senate floor, “If this is going to help humanity, why not do it? What could be the objection to it?” was he not rejecting the world’s collective verdict at Nuremberg? The world indeed decided at Nuremberg that it had numerous objections-chief among them the judgment that “progress” erected over the graves of the innocent is not worth achieving. The day the House failed to override President Bush’s veto of the NIH Reauthorization bill, Henry Waxman re-introduced legislation to overturn the fetal-tissue moratorium, saying that he hoped to have the new bill ready for the President before the election. The vote was too close in the Spring to feel confident about the outcome in the Fall. Will fetal research—which renowned geneticist Dr. Jerome Lejeune has called “the cannibalism of the young for the benefit of the old”—be permitted and hence encouraged? Or will our legislators, like the heroine of Anne Rice’s novel, foresee the horror of research unfettered by morality and bypass its lure? 406 people have visited this page. 1 have visited this page today.